Reeling from debt of Rs 20,000 crore, Mahanagar Telephone Nigam (MTNL) has submitted a plan to the government to ensure its survival. This includes converting its loans into sovereign guarantee, giving up 3G spectrum, revision of employees’ pay, and introducing a voluntary retirement scheme (VRS). If all else fails, the company said, the government should take over MTNL or dissolve, with the only condition that all its employees should be absorbed by the Department of Telecommunications (DoT). Bharat Sanchar Nigam, the other government-owned telecom company, has also made a bailout plea. In a letter to the DoT, MTNL said loans to the tune of Rs 20,000 crore was taken by the company to clear statutory dues. So, the government must convert these with sovereign guarantee and take responsibility for the principal and interest. This would save the company Rs 2,000 crore per annual interest payment. MTNL employees also want a VRS. After the latest pay revision, MTNL has to shell out Rs 300 crore extra towards employee benefits per year. If 10,000 employees take the VRS, as the estimates suggest, then the wage bill will be cut by Rs 100 crore. If the company surrenders 3G spectrum, it will get Rs 3,500 crore. This can be invested in its landline business that has been performing well. Another source of revenue the company has identified is focusing on its broadband and fibre-to-home business. The company expects to earn Rs 500 crore annually from this. MTNL wants to enter 4G only if the government finances this. The government can also monetise its unused or under-used real estate assets to bring the company back into the black. The company has never before wanted the government to take over all its employees and do whatever necessary to revive it. Another issue for MTNL is its proposed merger with BSNL. The government is yet to take a concrete decision on this. 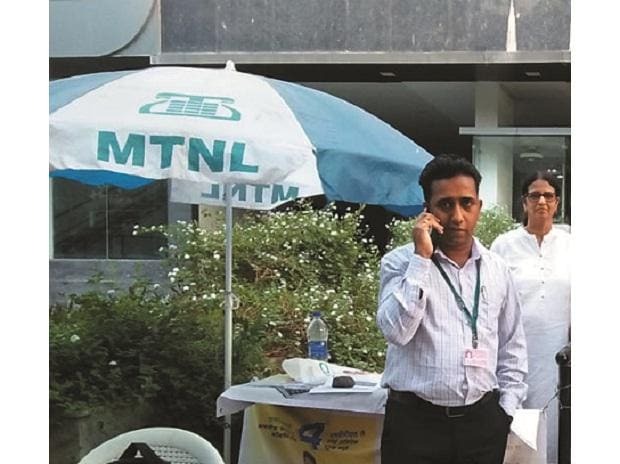 “The employees are not against the merger, but the pay revision committee should arrive at a uniform pay package for the employees of both companies,” said an MTNL official who did not want to be named. In 1986, the government incorporated MTNL to manage and control telecommunication services in New Delhi and Mumbai at affordable rates. An industry expert, who did not want to named, said there was necessity for at least one public sector player in the segment to ensure competition after the recent spate of consolidation. The expert also said if BSNL and MTNL were merged it would be good for both as they would be a stronger entity together. MTNL would be able to provide services across the nation including BSNL’s pan-Indian network. In the July-September quarter of the current financial year (2018-19), MTNL reported standalone losses of Rs 859 crore due to increase in finance cost and decline in sales. The employee cost made up 92.2 per cent of the total cost of the company, which was 29 per cent more than the revenue of Rs 572.83 crore. 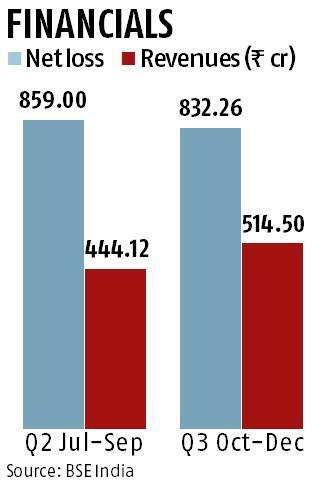 BSNL also has debt of Rs 10,000 crore and has registered losses of Rs 4,785 crore in the same period.